In this super-engaging camp, participants will be using cutting-edge technologies that are transforming the way we invent, work, and live. Participants will use 3D Design software to create their own Fidget Spinners. Then they'll marvel as they watch their invention come to life on a 3D Printer. Campers will take their Spinners home to keep. Participants will also be learning robotics using a platform that's super fun and engaging for boys AND girls. 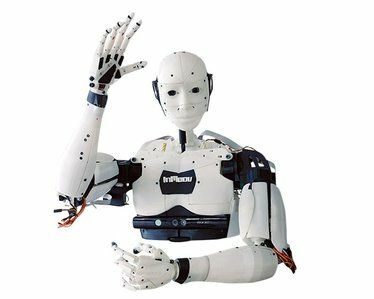 They'll program robots to wave, talk, walk, dance, and more... 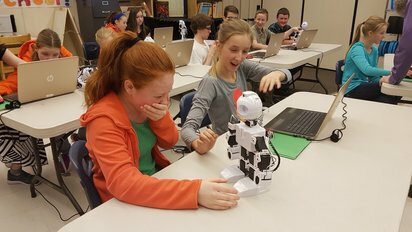 The robots will even respond to their voice, recognize them, and greet them by name! 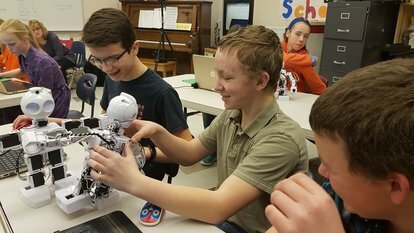 To top it all off, camp participants will get the once-in-a-lifetime opportunity to help build and program a life-sized humanoid robot called inMoov.